The University of Nebraska at Kearney (UNK) is a regional university based in Kearney, Nebraska. The history of the school dates back to 1905, when the Nebraska State Normal School was founded. In 1963, it was transformed into Kearney State College, and since 1991, it is one of the Nebraska universities. The school now includes 3 faculties and over 170 degree programs. There are approximately 8,000 students studying here, not only from the US, but from more than 50 countries. The employment of graduates of selected study programs approaches 100%. These include accounting, pedagogy, psychology, computer science, graphic and technological disciplines, etc. The university is also active in the field of university sports. It focuses mainly on baseball, softball, football, volleyball, basketball, golf, cross-country skiing, wrestling, women’s swimming and diving, women’s soccer, etc. The school colors are blue and gold and the mascot of the school is antelope. In the sporting environment, the school is called Lopers. 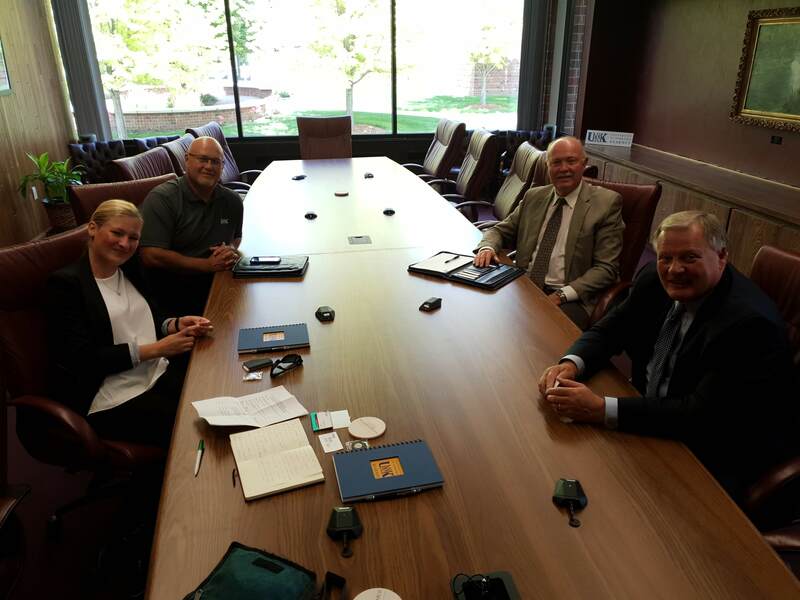 The Cooperation Agreement between the UNK and the University of Social and Administrative Affairs was established in the autumn of 2018. The Nantong University (NTU) is a comprehensive university established by Jiangsu Provincial Government and Ministry of Transport of the People’s Republic of China. The history of the University can be traced back to Nantong Private Medical School and Nantong Textile School set up by Mr. Zhang Jian, the famous industrialist and educator, in 1912. Located in the beautiful coastal city of Nantong, Nantong University has 4 beautiful campuses with features of a waterside town, covering nearly 250 hectares. NTU provides a complete range of disciplines including literature, science, engineering, medicine, pedagogy, economics, law, history, administration and so on. It is composed of twenty-three colleges and one affiliated hospital, having in all 104 undergraduate programs, 46 master’s programs and 3 Ph. D programs. The university presently has more than 38,000 full-time students, including around 2300 students studying for Doctor’s degree and Master’s degree and more than 700 international students. The university now has around 3,200 full-time teachers, including more than 1500 professors and associate professors. The university undertakes nearly 500 research items under projects including National 973 Project, 863 Project, National Science Research Fund Project and Social Science Fund. NTU has 4 disciplines ranked among the global top 1% by the Essential Science Indicators (ESI) subject ranking. NTU is expanding its international academic exchange and cooperation, like faculty and student exchange programs, research cooperation programs, joint education programs and other programs, with more than 100 universities and research institutes in UK, USA, Germany, Canada, Australia, Japan and Korea. The Faculty of Social Sciences was established on December 1, 2011 as the fourth faculty of the University of Ss. Cyril and Methodius in Trnava. The faculty focuses on education and research within social sciences with emphasis on political science, European studies, public administration, public policy and social services and counseling. It provides a comprehensive study on all three levels and also studying in a foreign language. The Faculty has the right to conduct habilitation procedure and procedure for the appointment of professors in public policy and public administration that the faculty obtained as the first ever institution in Slovakia. Faculty itself and also the University of Ss. Cyril and Methodius take an advantage from the location in Trnava which is regional capital of the Trnava Region and also seat of archbishop. Particularly Trnava is a historic town rich on sights. In the past, it became the first free royal town in Slovakia. Students of both universities located in Trnava have also many attractive possibilities to spend their leisure time. Cooperation of our schools was established in June 2018, when the representatives met for the first time in Trnava and decided to develop common relations. In November 2018, a memorandum of understanding was signed. Our schools jointly with Pavol Josef Safarik University in Kosice (Slovakia), University of Debrecen (Hungary) and University of Applied Sciences in Piła (Poland) establish new international scientific conference Publicy 2019. The Sichuan Vocational and Technical College (SVTC) is a public college that operates in Suining in Sichuan Province, China. The city of Suining is the city of gardens and parks on the banks of the Fu River, and it is very attractive for tourists. According to Buddhist religious mythology, the city of Suining is also home to the goddess Guanyin. The college has more than a hundred years of history, it was founded in 1917. It provides education in more than 50 fields, focusing, for example, on economics, management, pedagogy, agriculture, arts, etc. More than 14,000 students attend the school. The school also develops international relations. It cooperates with more than 30 foreign schools and institutions. The college provides three-year academic education as well as annual preparatory courses for foreign students. The first contacts between our schools took place in Prague in April 2018, and in October 2018, a memorandum on cooperation between our schools was signed in Suining. The Academy of Management and Administration in Opole is a private college located in the Polish city of Opole that started operations on June 12, 1996. The owner is MDI Partners, Inc. The school has two faculties: the Faculty of Economics and Education, located in Opole, and the Faculty of Social Sciences, located in Tarnowskie Góry. At this college, it is possible to study in study programs such as pedagogy, special pedagogy, logistics, administration and administration, economics, management, finance and accounting. Education is provided in both bachelor and master study programs. The University of Social and Administrative Affairs established a partnership with the Academy of Management and Administration in Opole in March 2018. So far, the schools have been cooperating mainly on Czech-Polish cross-border grant projects (INTERREG). In October 2018, a memorandum on cooperation between the two schools was signed in Havířov. The College of International Business ISM Slovakia in Presov is a private school. Its mission is to develop a harmonious personality, knowledge, wisdom, goodness and creativity in humans, to develop knowledge based on creative research in the fields of economics, economy and social sciences, and to contribute to the development of education, science, culture and health for the welfare of the whole society. The school was established in 2005. Its founder is the International School of Management located in German city of Dortmund. The College provides bachelor and master education focused on business and trade, entrepreneurial ethic and social services. Furthermore, the school allows its students to gain degrees like PhDr. as well as MBA or LL.M. During summer, the school organizes so called Children’s University, which allows pupils of elementary schools and high schools to get familiar with the university environment. Cooperation between our schools was established in July 2018, when the representatives met for the first time in Prešov and decided to develop common relations. 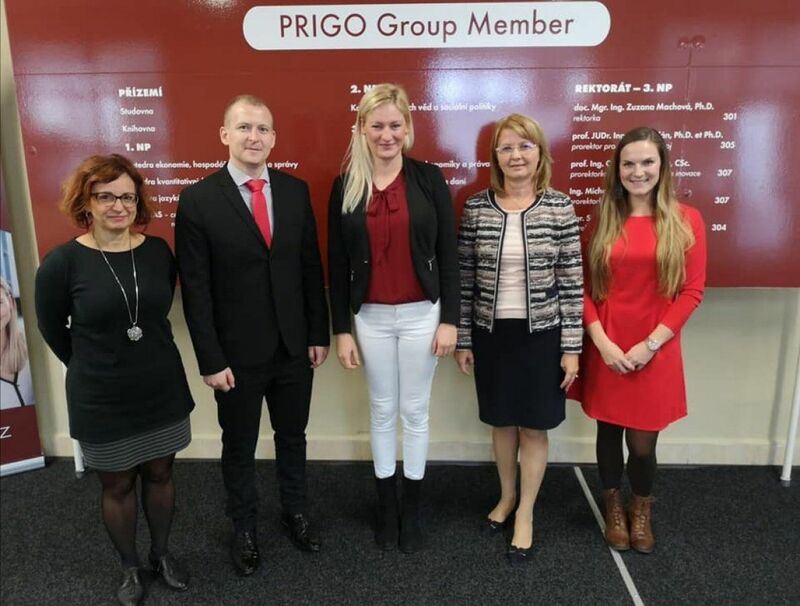 Already in September 2018, a representative of the College of International Business ISM Slovakia in Presov attended our traditional international scientific conference Economic and Social Policy. 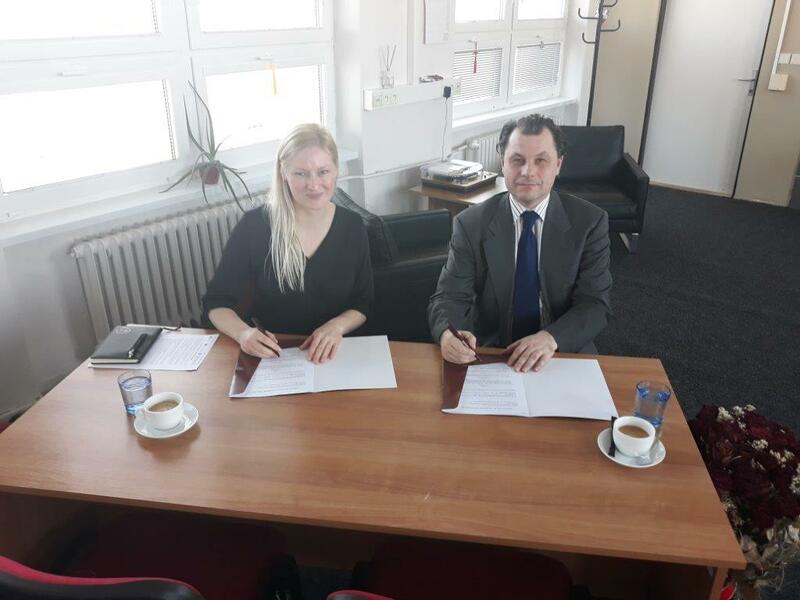 In February 2019, a memorandum of understanding between our schools was signed in Havířov.